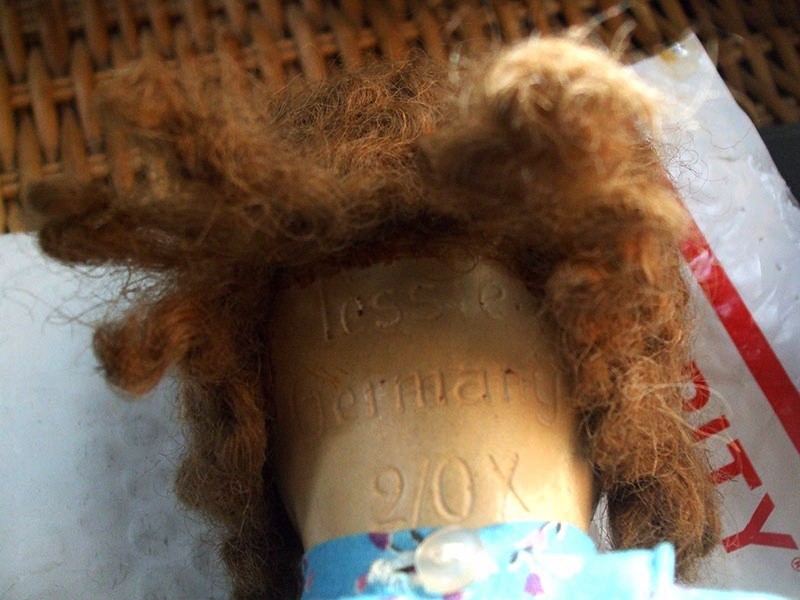 Markings on back of doll's head stamped as follows: "Tessie/Germany/2/OX"
The doll is dressed in a non period home made outfit (not authentic to the doll) and is wearing a pair of crocheted slippers (that look authentic but not sure). Condition...There are stains on the cloth portion of the doll that appear light to me and are most prominent on the lower back legs. There is a 1" knick on the lower portion of the left side of her nose which is light. There is a tiny pin prick hole on the right knee...The face is clear and the original color is bright (no fading). Moses Kohnstam & Company Dolls 1867-1935 Bavaria - by putting this information into you browser, for authentication. 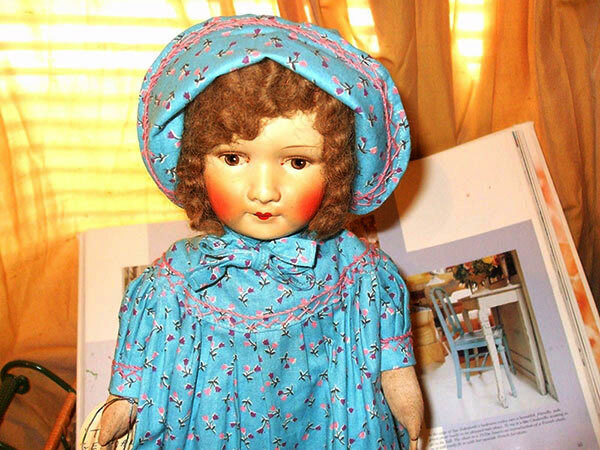 This doll has the Kohnstam markings and not the Hermann Steiner Markings...making it rare. If you have any other questions please email me, I am not an expert on vintage dolls but I did do a lot of research to find the above mentioned information. 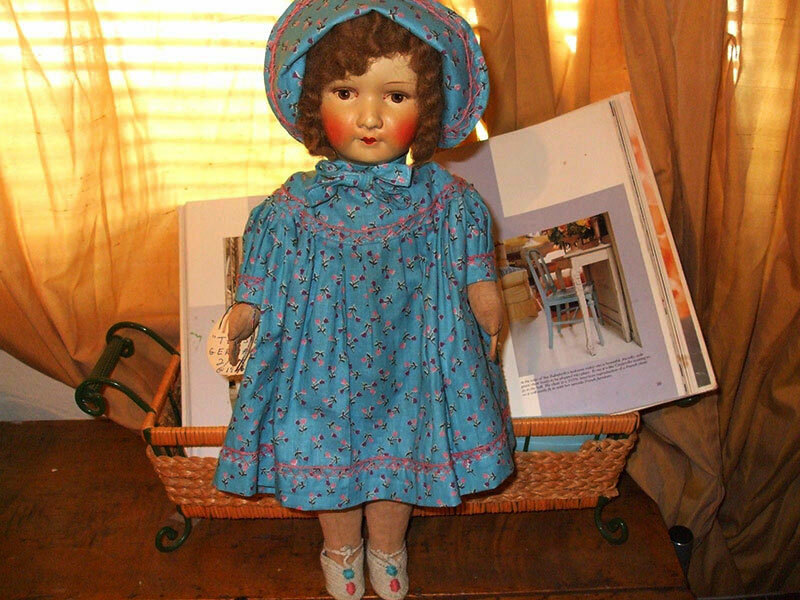 I am selling many dolls for a friend who has been a life long collector and is in the process of down sizing her life. 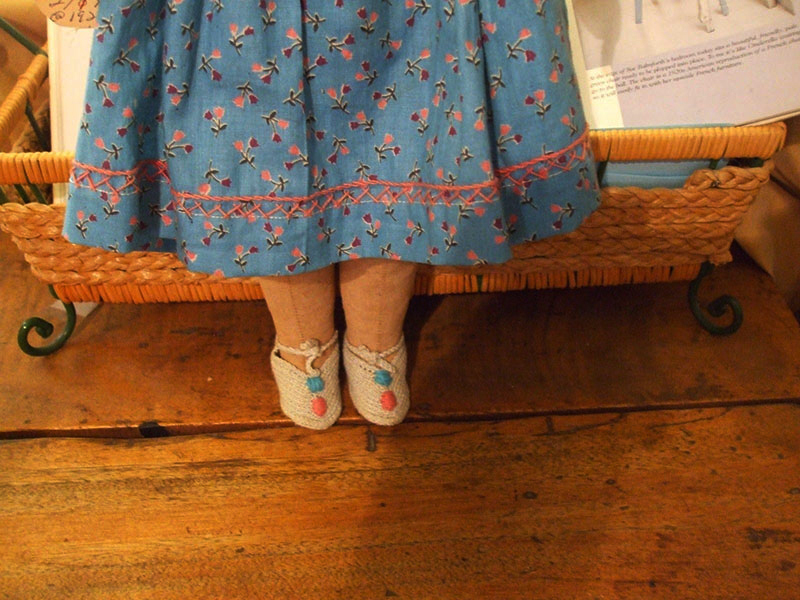 All of her dolls have been kept in glass cabinets and are extremely well cared for.